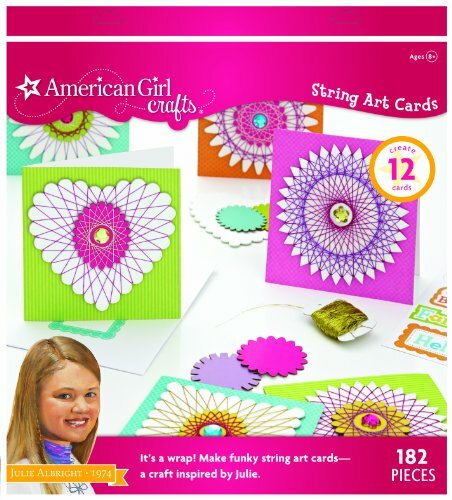 American Girl Julie Albright String Art Cards Kit makes funky string art cards. Set includes 182 pieces. A craft inspired by Julie. Wrap shiny string around a decorative shape and then add shape and a gem to get a funky card to personalize with a message sticker. Learn more about Julie in her exciting six-book series from American Girl.